One lonely sailboat in a vast ocean. 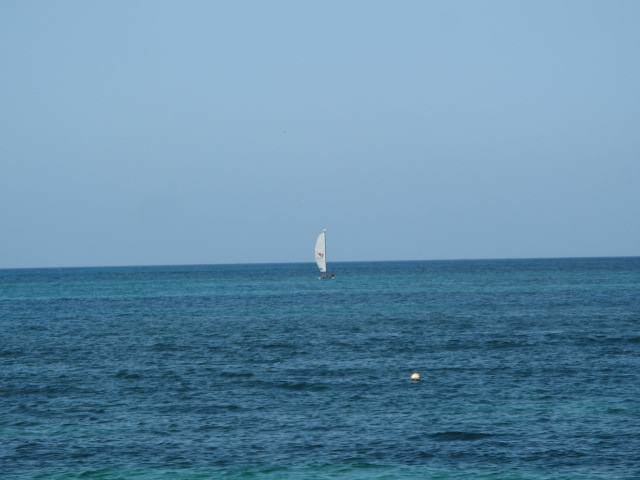 My husband and I were walking along the beach looking at the different shades of blue and green in the water when we noticed this lone sailboat. The sailboat gives a great impression of how big the ocean is.